During the NFL draft last month, we saw four quarterbacks taken within the first 10 picks and five overall go in the first round. 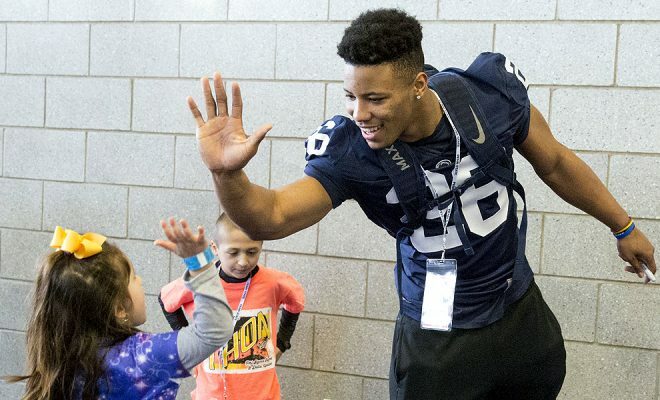 Saquon Barkley went second overall to the New York Giants in the draft – the earliest for a running back since 2006 when Reggie Bush went No. 2 to the Saints. Maybe the most confusing part of the draft was watching Derrius Guice fall to pick No. 59. Will Lamar Jackson be the next Michael Vick? Will Baker Mayfield make a start for the Browns this season? The draft talk can go on forever. With the rookie minicamp and OTA offseason workouts in the rearview mirror, we’ve seen some rookies in action with their respected teams. Some rookies step right into a situation where they make their name known from day one. Others might have to wait much longer to finally get their opportunity in the NFL. Nonetheless, it’s time to dive into this rookie class and talk about the players who will make the biggest impact for their teams in year one. When I hear the term “impact rookies” I tend to picture three players that immediately come to my mind. This rookie class is extremely deep at the running back position. It’s going to be very interesting to see how things pan out for this rookie class, but I have high hopes for a number of players. Let’s now take a look at the rookies that I think will have the biggest impacts in their first season. Saquon Barkley is entering his rookie season in line for a huge workload. It’s clear that he and Odell will be the faces of the franchise for quite some time. The Giants have struggled to produce a viable running back in recent years. In fact, the last Giants running back to rush for at least 1,000 yards was Ahmad Bradshaw in 2012. Not only can Barkley be a wrecking force in the open field, but he brings some value in the passing game as well. He racked up 102 catches in his three-year career at Penn State- including catching 54 balls this past season. Barkley may see opposing defenses stack the box this season, but with Odell Beckham Jr. coming back from injury, it may put a limit on that. There’s a reason why the Giants selected him at pick No. 2. Expect Barkley to push for north of 300 touches this season. He’s a guy that can do it all for this Giants team. If you’re trying to select a running back early on in fantasy drafts, you want to draft a guy that’s going to get the opportunity. Barkley is going to get plenty of opportunity behind an improving offensive line. His current ADP has him as the fifth running back taken off of draft boards. 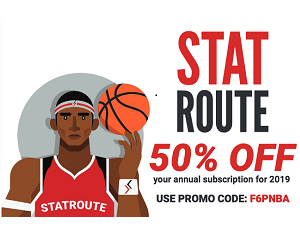 If you’re picking anywhere from four to eight in fantasy leagues, that may be the best time to acquire Barkley as he is rarely seen being taken later than that. 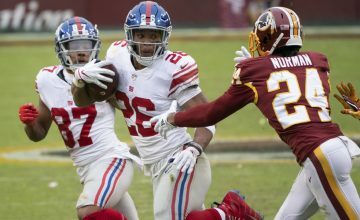 With Rob Kelley and Samaje Perine failing to make a lasting impression, the Redskins went out and stole running back Derrius Guice in the second round of the draft. Prior to the draft, Guice held high regard as the second-best running back in the class. Growing character concerns pushed him back to being the seventh running back taken off the board. 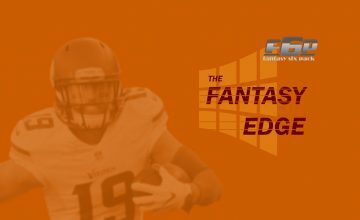 The 20-year-old made it clear that he cannot wait to be “unleashed on the field.” Despite the crowded backfield, Guice will have every opportunity to produce fantasy relevant numbers where he and Chris Thompson will play an imperative role. Guice is a very physical and versatile running back who left his mark on the field while playing at LSU. Last season, he had 237 carries for 1,251 yards and 11 touchdowns. In his three-year career at LSU, his 6.53 yards per carry rank second all-time in SEC history- behind Bo Jackson’s 6.62 yards per carry at Auburn. Guice is also the only player in SEC history to record three games with 250 or more rushing yards. There’s a lot to like about Guice’s game and his landing spot. Although he will lose value in the passing game to Chris Thompson, Guice has a major workload ahead of himself on the ground. He can be a guy who pushes for 250+ total touches for the Redskins this season. When Seattle was on the clock at pick No. 27, not many people thought Rashaad Penny would be the guy here. Although this pick came to a surprise by many people, Penny has all the chances to turn around the Seattle running game. The Seahawks had six different players run the ball at least 45 times last season and only one of those players ran for more than 250 yards. That one player was Russell Wilson – who led the team in rushing with 586 yards. The second-leading rusher was Mike Davis, who had 240 rushing yards. That should say it all about how bad the Seahawks running game was last season. In comes Penny, a 5’11, 220-pound speedster who had an impressive year at San Diego State last year. In his first year as being a featured back for the Aztecs, Penny ran the ball 289 times for 2,248 yards and 23 touchdowns. Draft capital is important for rookie running backs and taking one in the first round usually means that the player will feature heavily in their offense. In fact, since 2011, there have been nine running backs selected in the first round. Five of those running backs have been able to rush for 900 or more yards as a rookie. A running back drafted in the first round, in the past seven years, averaged 211 carries, 898 yards and seven touchdowns in their first year. That stat line would have finished as the 13th best running back in fantasy leagues a year ago. Penny is in line for a big workload in Seattle and set in the RB2 discussion. He currently sits at RB18 just behind guys like Jordan Howard and Derrick Henry. The Cowboys have one of the worst wide receiver groups in the NFL with Jason Witten retiring and the Cowboys parting ways with Dez Bryant. Allen Hurns looks to be in line for a large target share and the same can go for rookie Michael Gallup. Gallup is a 6’1″ receiver who caught the attention of many coaches from his play at Colorado State. In his two years in college, Gallup racked up 176 catches, 2,690 yards and 21 touchdowns. He caught at least 35 percent of the team’s targets in both years with the Rams. With the Cowboys in need of another playmaker at the wide receiver position, they chose to draft Gallup in the third round. Entering a team missing 44 percent of their target share from a year ago, Gallup could be in line for a big rookie season. In Dak Prescott’s first two years in Dallas, he supported a WR1 that averages 72 catches, 835 yards and five touchdowns per year. While his WR2 averages 56 catches, 678 yards and six touchdowns per year. As you can see, the opportunity is definitely there for the 22-year-old to land a big-time roll in his first season with the Cowboys. The current price for Gallup sits at WR58 in redraft leagues while at WR5 in rookie-only. His price may only be on the rise as we still have a couple more months until the season kicks off. It may only be a matter of time before you see him taken earlier in fantasy drafts. With Doug Martin off to Oakland, that leaves the Buccaneers running game wide open for incoming rookie Ronald Jones. Taken 38th overall in the 2018 draft, Jones comes in as “the guy” in a Tampa Bay backfield regarded as one of the worst in the league. The competition is slim for Jones, as he has to beat out Charles Sims, Peyton Barber and Jacquizz Rodgers for a big workload. Although entering his first year in the league, Jones is arguably the Buccaneer’s best pure runner on the team. The past two seasons have been a mess for the team’s running game. Within the last two years, the team fell to the bottom half of the league in rushing yards per game. No running back has rushed for at least 600 yards since. In his three-year career at USC, Jones has averaged 197 carries, 1,206 yards and 13 rushing touchdowns per season. He enters the NFL on a team where he has all the opportunity to prove himself capable of handling a big workload. One thing Jones lacks is the ability to catch passes out of the backfield. He caught just 32 passes in his three-year stint at USC; 14 of those catches came in his final season. He may only get a limited amount of targets in the backfield, especially in a backfield with a guy like Charles Sims – who has caught 129 passes in his four years in the NFL. The 129 total catches rank 12th most out of all running backs in the past four seasons. 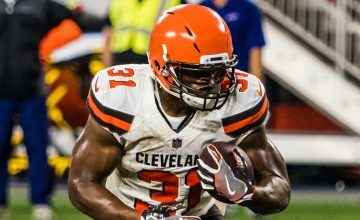 Jones currently holds an ADP of RB5 in rookie-only drafts and can offer anywhere from RB3 to FLEX appeal in redraft leagues for the upcoming season.